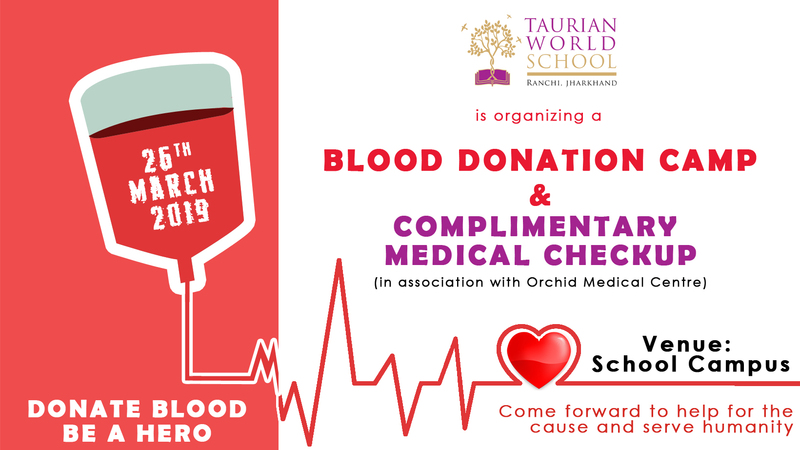 Taurian World School organized a blood donation camp and free general health checkup in its campus from 11:00 AM to 2:00 PM on 26th March 2019 in association with Orchid Medical Centre and Rotary Ranchi South. The Camp was inaugurated by the school Principal Dr. Subhash Kumar in presence of dignitaries from Rotary Ranchi South Rtn. P.S.Ghosh (President), Air Commodore Rtn.Asit Kumar Adhikari (Secretary), Rtn. S.K.Giri (Treasurer), Rtn. Susmita Das (Past President), Rtn. Rathin Bhadra (Chairman “Wins”), Rtn. Rajeev Kumar, Rtn. Ranjana Ghosh , Ex. Ranji Player Mr. Bhanu Da, team from Orchid Medical Centre and the school fraternity. The camp witnessed more than 35 volunteers of different ages who participated with vivacity. 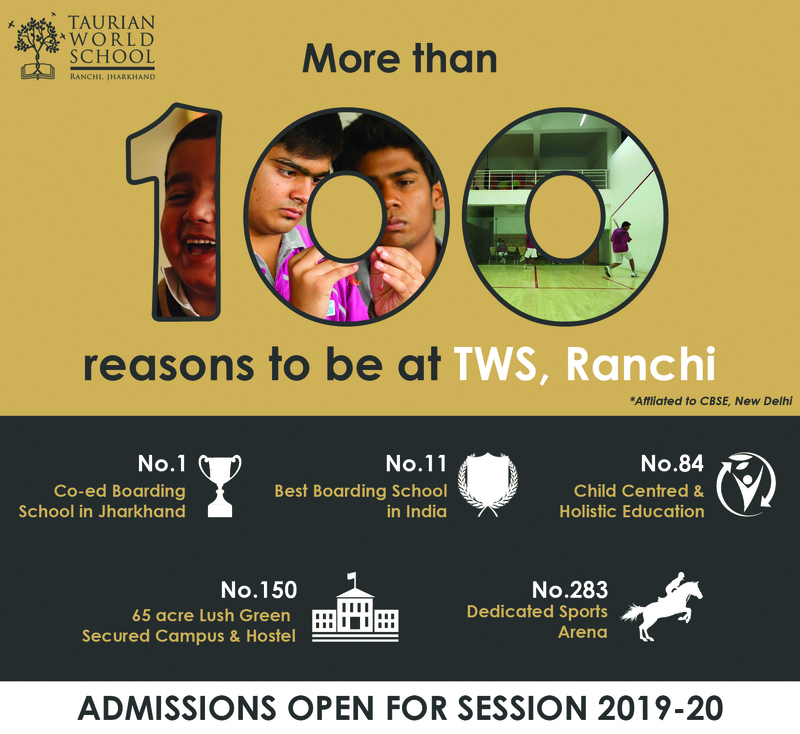 Special thanks to Mr. Purbendu Das, Mr. Partha Ghosh, Rotary Ranchi South and Orchid Medical Centre for providing their positive support and help in organizing this camp.